Just launch a web browser on any computer to begin providing live chat assistance. Transfer the chat and connect the visitor to an operator that can further assist with certain inquiries. Each party (visitor and operator) is notified when the other is typing a message. Operators can request chats with one another to relay messages internally. Faster than typing, create canned responses for quick answers to frequently asked questions. Evenly distribute chat requests with round robin or defined order. All operators receive the chat request at the same time. Loop the chat request to online operators more then once. Display a chat invitation image to the visitor and lend assistance, proactively. Automatically invite visitors to chat based on certain criterias. As a setup admin, view active chat session transcripts in real-time. Monitor your website traffic throughout the day to gather traffic trends and reports. View refer URL, browser type, footprints and other visitor informations in real-time. View the country, city and the map location on Google Maps. Addon FREE to download at the client area. Display social profile links within the visitor chat window. Display announcement messages to the visitor with chat footer marquee messages. Track the click through rates of URLs and ad campaigns. Personalize the chat window with your company logo. Upload custom online/offline chat icons to match your website look and feel. Select from many chat window themes to choose from. Each operator can set their operator console window theme. Chat request window can be updated to display a language of your choice. 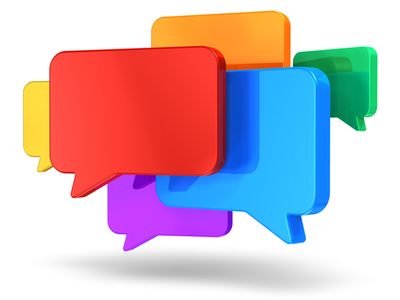 Rate the level of chat assistance at the end of every chat session. View reports showing performance trends and daily chat activities. Track the total duration the operator has been online with built-in automated timecards. Track the visitor page views, footprint data and the refer URL. Offline messages (leave a message) are saved for tracking and reference. Chat gretting, offline message, email settings and more, for each department. Chat rating, view IPs, traffic monitor settings and more, for each operator. One operator can manage and support multiple departments. New chat requests and new chat response sound alerts. Receive a helpful popup notification box directly on your computer desktop. New chat request mobile SMS alert. Support: +91 20 3291 5723 / 832.